Chrystia Cabral explores vast concepts through minimal means in Mazy Fly. It’s not every day that an artist will write about a topic as broad as the injustices of the slave trade using a loop pedal and a pair of synthesizers, after all. But for Cabral, who performs under the name Spellling, the unorthodox narrative choice comes as naturally to her as her outré presentation. 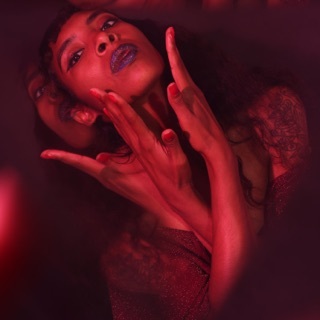 An experimental renegade from the Oakland music scene, Cabral creates eerie synth sculptures and contorted R&B beats alongside bold makeshift costumes spiritually akin to the visual artistry of Grace Jones. 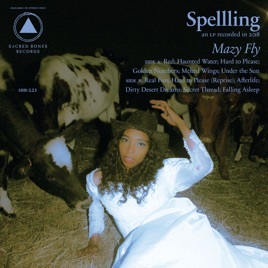 Her mystical sound collage—ritualistic vocal echoes (“Hard to Please”); goth-y, lysergic textures (“Falling Asleep”)—summons an intoxicating atmosphere that equally bewilders and enthralls. On “Real Fun,” campy, Cliff Martinez-like synths float over a fat Afrofuturist groove as Cabral lets out a silky vocal tone.